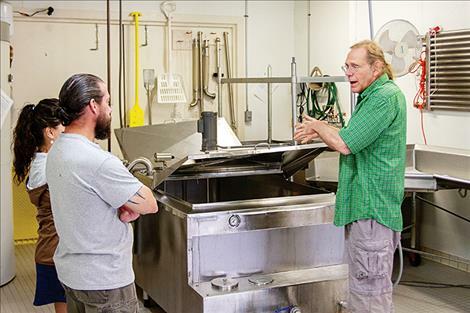 Joe Arnold of Flathead Lake Cheese explains the cheesemaking process to visitors. Joe and Wendi Arnold pose for a photo. 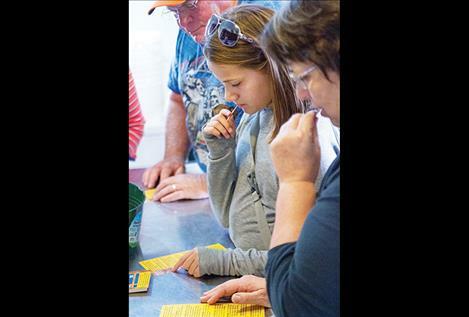 Visitors to Flathead Lake Cheese partake of some of the samples. Packages of cheese await purchase. 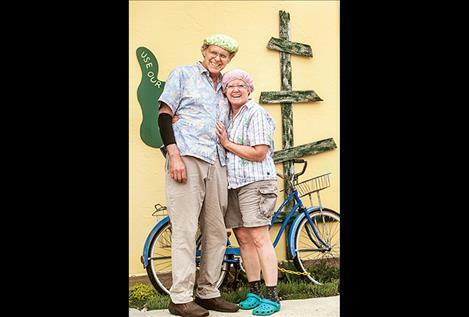 POLSON – If you love cheese, Flathead Lake Cheese is holding an open house, offering visitor tours and taste bud tantalizing samples of artisan crafted cheese. 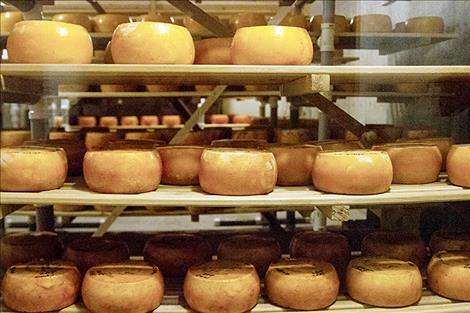 The cheese factory is located at 208 1st Ave. East. The bright yellow two-story creamery has a life-sized mural of a cowgirl riding a cow and a copper roof that is hard to miss. Joe and Wendi Arnold built the business from the ground up at its current location over a decade ago. 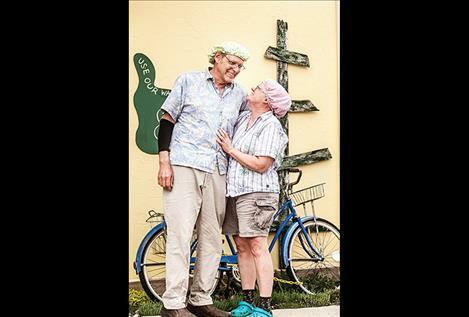 They are one of only five cheesemakers in the state of Montana. “Pretty much everything in it came from somewhere else and was used by someone else,” Joe explained while leading a tour group. The couple reused and repurposed as many things as possible in the building from the 300-gallon cheese vat to the kitchen sink. Flathead Lake Cheese produces around 200 to 250 pounds of cheese a week, much of which is sold at local farmer’s markets within Western Montana. The Western Montana Growers Co-op handles cheese distribution duties around the rest of the state. 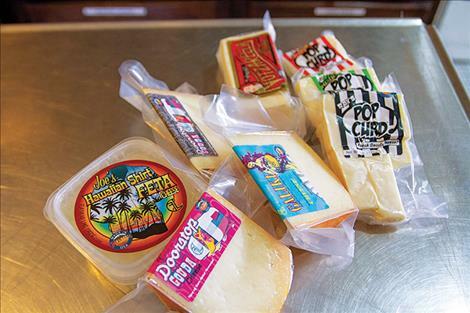 Currently Flathead Lake cheese creates a mouthwatering variety of gouda and feta cheeses. The open house started last Sunday and will continue every day from 10 a.m. to 4 p.m. until July 8. For more information, call 406-883-0343 or go to their website at www.flatheadlakecheese. com.